Reserve Bank of India (RBI) has recently published an article on ‘Recent Trends in Residential Property Prices in India’. RBI has been collating information on Property prices through its survey known as ‘Residential Asset Price Monitoring Survey’. This survey covers transaction level data on housing loans disbursed across select 13 cities, from select 35 scheduled commercial banks/housing finance companies (HFCs). The Reserve Bank of India monitors movements of house prices in India through various modes. The quarterly Residential Asset Price Monitoring Survey is one of such methods to capture residential property prices in India through the banking system. Based on the collected data (on a quarterly basis, since 2009-10 to 2014-15), RBI has developed an Index called “Residential Property Price Index” (RPPI) for each city and also for All-India level. 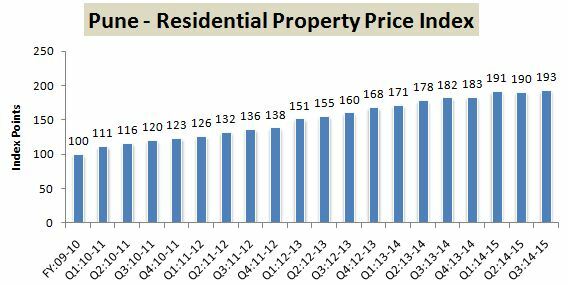 Residential Property Price Index (RPPI) moved up to 172 points in Quarter 3 of 2014-2015, from 107 points in Q1 of 2010-11, an increase of almost 61%. Over this period, the highest growth in RPPI was recorded in Jaipur whereas the lowest growth was recorded in Greater Chandigarh and Hyderabad at around 40 %. As per the data compiled, there is a clear evidence of steady rise in house prices during the past four to five years. 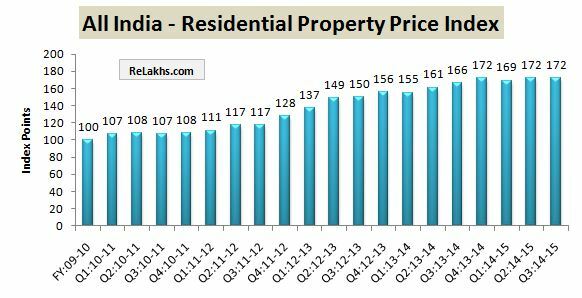 The House Price Inflation (raise in property prices), as measured by annual growth in RPPI, witnessed its peak during 2012-2013 and has been steadily declining in the recent period. The house price inflation for small, medium and large houses (> 1200 sq ft area) has also witnessed similar path i.e., witnessed its peak during 2012-2013 and declined in the recent quarters. 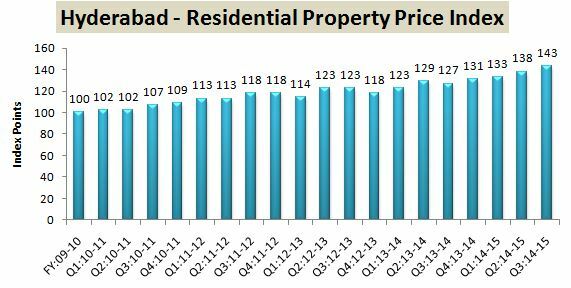 However, the property prices for small houses (< 750 sq ft area) have been steadily increasing from the Q1 of 2014. The annual growth in Housing Rent Index has been stable in the last seven quarters. 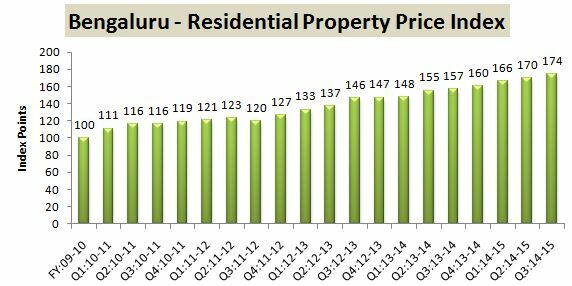 It is observed that during FY: 2012-13, house prices has been growing at a higher rate than that of housing rent. However, in the subsequent quarters, house price inflation and housing rent inflation moved hand-in-hand. The average Loan to Value (LTV) ratio decreased over the last 5 year period. The proportion of loans with higher LTV ratios also has been declining over the quarters and this decline was steeper in case of housing loan transactions with higher LTV ratio (more than 80 per cent). Another important finding is – the movements in median EMI-to-Income ratio (home loan borrower’s income), median House Price-to-Income ratio and median Loan-to-Income ratio, did not indicate any notable variation in housing affordability over the quarters. The survey results are based on data on housing loan transactions reported by select banks/HFCs in select cities. House transactions without financing of banks/HFCs are not covered for compiling RPPI (Index). The property prices of vacant lands (plots) have not been considered. During the last month, I personally met around twenty Real Estate Agents and around Ten property Developers of South & South East Bangalore. They are of the opinion that the the number of property transactions (Registrations in Bangalore) have come down considerably over the last 6 to 12 months. However, the property prices of Residential Plots in Bengaluru are stable. The prices of Residential Flats (Apartments) have reduced over the last six months (huge unsold Apartment inventory is available, especially with the low/medium size property developers). Few builders are offering discounts and are willing to sell the Flats at lower prices compared to what they quoted in the last calender year. They are also of the opinion that the Real Estate Regulation & Development if implemented, may impact their operations (I personally feel that this bill will benefit both the property developer & buyer over the long-run). Also, the property buyers are expecting further cuts in Lending rates. Hence, following ‘wait & see’ approach. 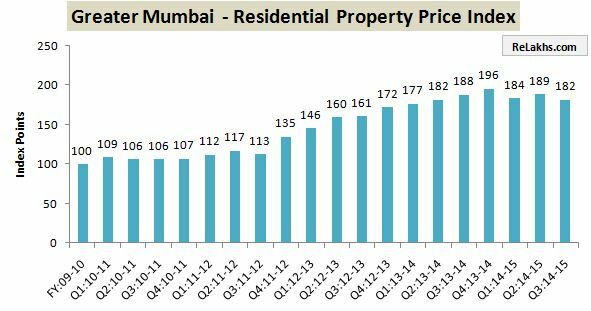 Do you observe a downtrend in Residential Property Prices in India in general? 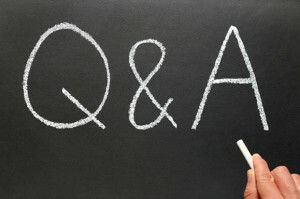 Do share your views and observations on real estate property prices of your location. What are your financial goals? What is your investment time-frame? 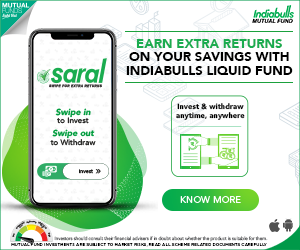 Kindly read my articles – Top Equity funds.